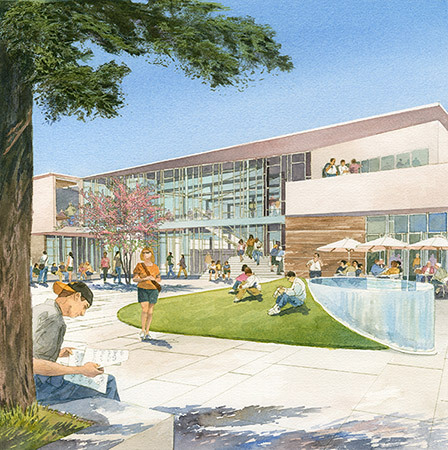 With a rapidly increasing student body comprised mostly of commuter students, the University desired a new campus center in which the students, faculty and alumni could connect to each other. 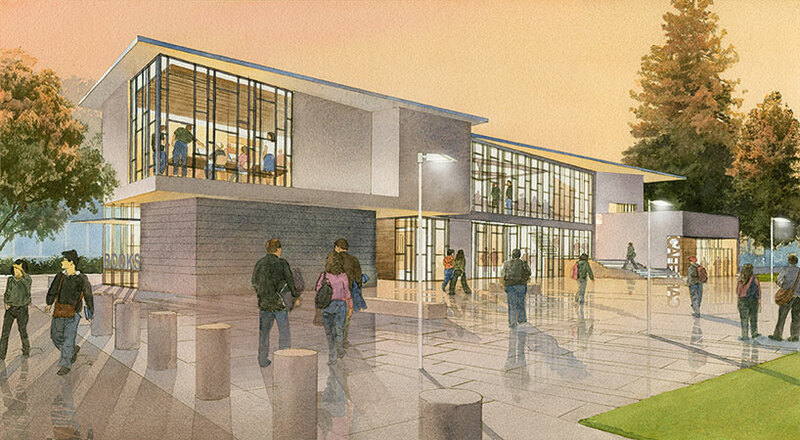 Our team was hired to develop a University Center to provide a new “heart” for the campus. Opening out onto a new outdoor grass commons, the Center flows dynamically from interior to exterior with a new dining hall at its core. 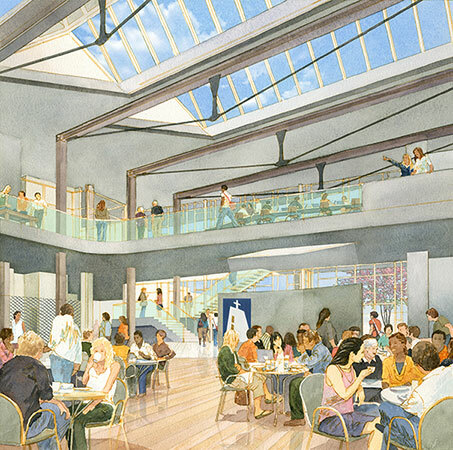 Student services, the Academic Success Center, and student clubs are located on the second floor and visually connected to the dining hall below by a new, open “Learning Bridge.” Our scheme reinforces the dynamism of the Center and is intended to create a new sense of campus community.